This is what a lot of you have been waiting for since the hint of some healer class balancing that was mentioned earlier. The balance patches will come in two waves, one in November and another in December. Plus a little sprinkle of improvements to tank classes as well. Seems they felt that the Lancer vs Brawler clear ratios are still skewed so there will be further changes coming up. The following are planned for October 29. We’ve got some interesting GO post here today with an introduction of a new system which allows you to further customize your characters. Since the recent level cap BHS has been closely monitoring the player activity and have seen that the players are, once again, preparing for the next possible content patch. So they’ve added the “Talent System” which will hope to add to the growth of their individual characters. 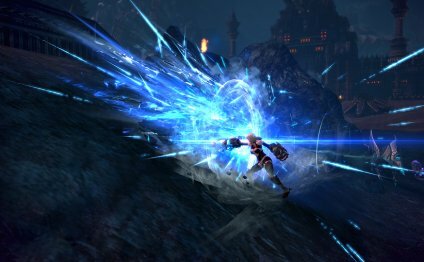 TERA’s action combat system has evolved and moulded into what it is today. They have taken careful consideration and hope that the new system will add yet another dimension for the players to enjoy.